MEN's hairstyles say much about the times. Remember the Nike tick shaved into the head? Or the boyband gel-stiff curtains? Or David Beckham's, well, all of 'em. Nowadays men are more into their hair then ever. The simple no.1 all over just doesn't cut it anymore. Here in Manchester we've seen the resurgence of the high-top fade, the meticulously styled quiff and the sharp line parting. Meanwhile, the fuzzy beard and curly moustaches are still having their day, even post hipster revolution. 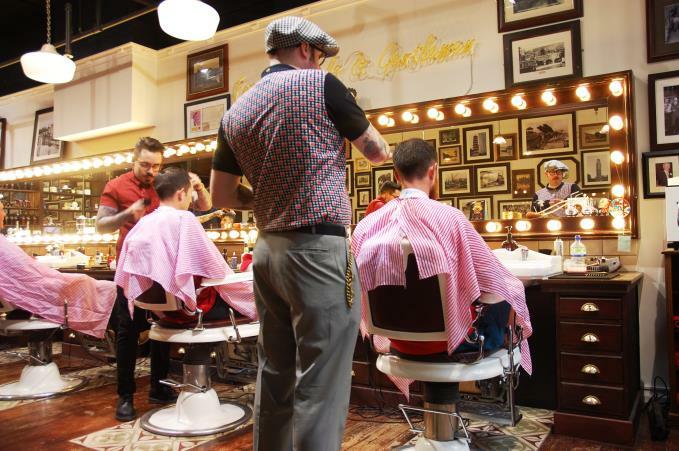 But where should a man - be he metrosexual, sapiosexual or lumbersexual (that's a dude who dresses like a lumberjack) - head in Manchester for a trim, a new do or a full-blown wet shave? Barton Arcade, 3 Deansgate, Manchester M3 2BH. See price list. In the short eight months since opening on Tib Street, this Northern Quarter barbershop has built a reputation for doing things a little differently. They've got a full-blown booze licence, for one, whilst the minimalist fit-out with touches of the industrial mirrors the best of Northern Quarter's many nearby bars. They've also got a blinding illustrated doodle map of Northern Quarter covering one entire wall. "From the start we wanted to do things differently," says owner Ross Parlane. "We're one of a few barbershops that takes online bookings, we want people in the chair, not hanging around. We also encourage women to come here, that's a major point of difference." What about the hair? Think traditional English gent with a modern day edge and ahead-of-the-curve styling. 35 Tib St, Manchester M4 1LX. See the website. This barbershop is as much a part of the Northern Quarter furniture as cornerstone curry caf' This'n'That. 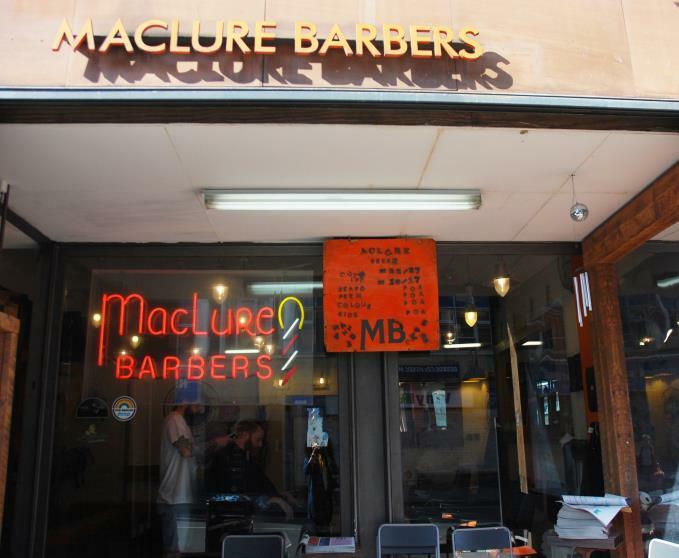 Maclures has been providing shape-ups and traditional cuts since 2001 and have been party to many of Manchester's most experimental hairstyles, from mohawks to man buns. “We’re about quality not quantity. We don’t do five minute haircuts. We do a proper job,” says Mr Maclure. You can also find them doing a 'proper job' in Didsbury. Unit 16 Smithfield buildings, Hilton St, Manchester, Lancashire M4 1NB. See the website. It’s been more than twenty years since Flanagans first began grooming Manchester’s gents. 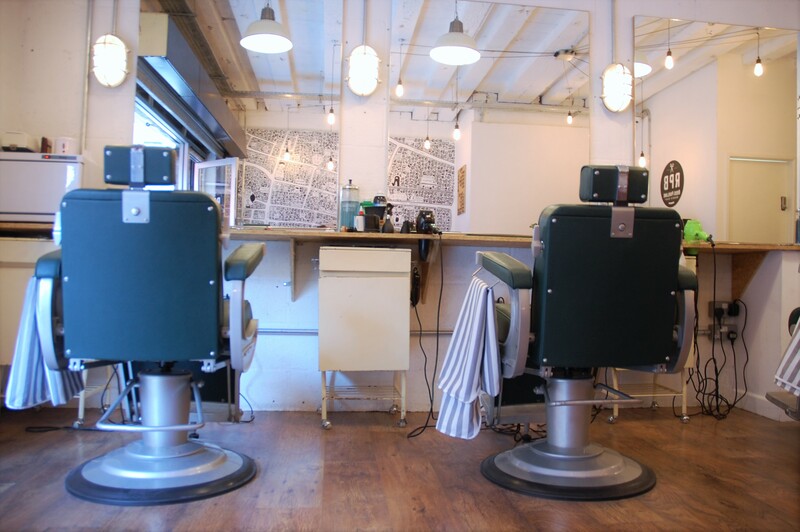 They stay smart and sophisticated on King Street West in the city centre whilst the barbershop can also be found in Didsbury, Altrincham and Wilmslow. Flanagans say they are a ‘high-end’ barbers merging some of the modern styles with traditional cutting – let’s just say they’re more GQ than Loaded. The city centre shop, subtly masculine with wood pannelling and deep brown leather, is a gentleman's haven. Walk in scruffy and you'll be sure to leave with head held high and a straighter back. St James's Square, Manchester M2 6DS. See price list. Nothing says ‘we cater for the young, hip cool bloke’ quite like a fixie bike and some Marilyn Monroe pop art in the shop window. 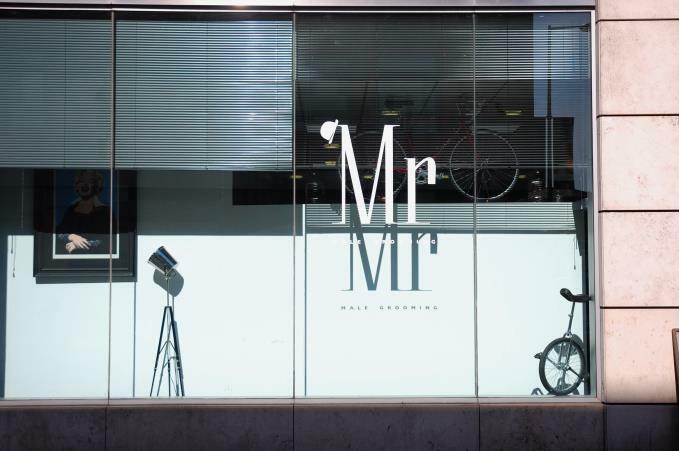 MR Male Grooming on Spinningfields was founded by Chris Phillips and Karl Lewis back in 2011 and bring a combined experience of 25 years. Hell-bent on producing the most pristine and well turned-out chaps, Mr also offers a ‘Mr Immaculate’ clinic offering deep tissue back and shoulder massages amongst other luxury treatments. 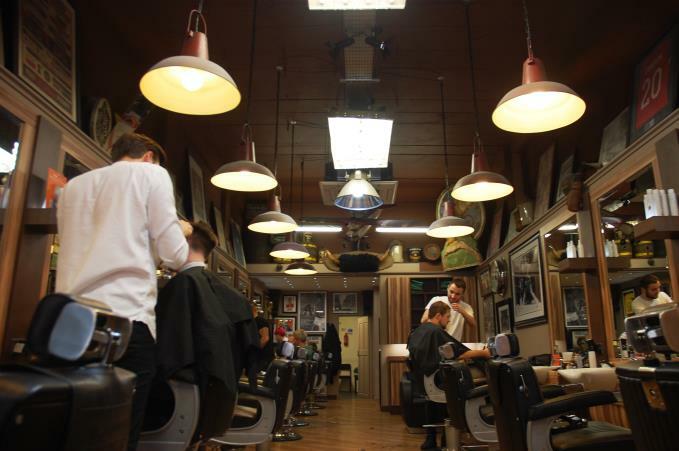 Waltz out of this barbershop trimmed, trendy and in tip-top shape. 4b, 1 Hardman St, Manchester M3 3AQ. See the full price list. This small, boutique yet well-defined barbershop has done much to make a name for itself in Greater Manchester (it also boasts shops in Chorlton, Altrincham and the Northern Quarter) and has amassed a dedicated customer base since founder and barber Alex 'borrowed money from his grandparents and friends' to open his first fledgling barbershop. Go for regular maintenance and skilful throat shaves and the complimentary bottled beer. Bridge Street & Whitworth Street West. See the website. “I'm like the Freud of barbers, for some reason clients like to share with me all their secrets,” laughs P&D barber and co-owner Damo. Alongside business partner Patrick, this haircutting Jamaican-Irish duo have recently launched their new back-to-basics shop in the Northern Quarter. While new to the NQ, the duo aren’t new to cutting hair and have long gathered a steady clientele. They’re fun too - you'll find homage to the Jamaican-Irish connection with bottles of Wray and Nephew and Guiness dotted about the shop. “We’re going to have barber-cues when the weather is good, some music, jerk chicken and we’ll encourage artists to put art installations up on the walls,” says Damo. As both barbers have a background in women's hairdressing, P&D also offer a hair extension service for women. Come here for both the laughs and the top shape-ups. This barbershop is as traditional as it comes – complete with candy striped barber pole out front. Tucked within the confines of Campfield Arcade, here there’s no faff, no pretention but simply trusted, efficient and skilful barbers. Prices are extremely reasonable at Crown barbers, too: a dry cut/trim and finish will only set you back £14.50, while a beard trim and shape is just £4.50. Appointments aren't required at Crown, simply turn up, sit down and enjoy a slick, professional haircut. Campfield Arcade, 300 Deansgate, Manchester M3 4FH. See here.